In many areas of the chemical, pharmaceutical or petrochemical industries, the system components have to be cleaned regularly. 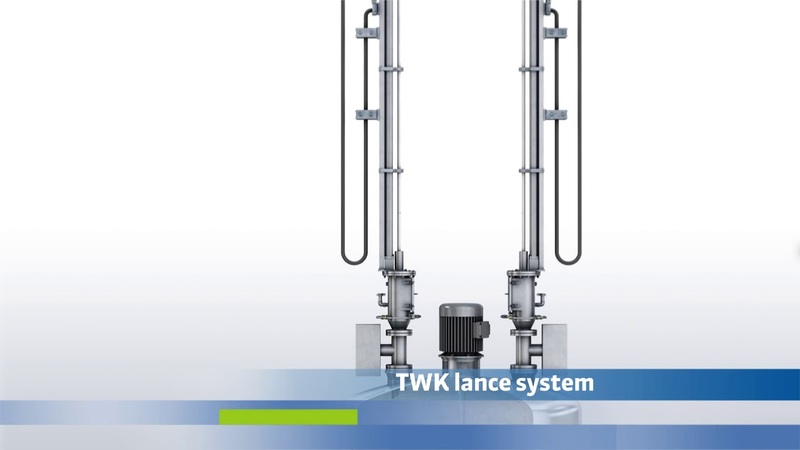 For keeping the quality of the products constant over the long term, accumulated deposits have to be removed from containers such as reactors and tanks, but also from agitators and filters. As experts in the area of container and reactor cleaning, URACA uses its extensive know-how to design and manufacture complex high pressure cleaning systems and units that allow an effective and economical interior cleaning of different containers. If you use the latest cleaning systems from URACA you will achieve the maximum cleanliness while saving costs and time. Regular high pressure cleaning of reactor containers not only ensures a clean process, it also supports production times and stabilizes sensitive processes. Complex and hard-to-reach geometries can also be cleaned of all accumulated deposits with the high pressure cleaning. Areas of use for the URACA cleaning the interior of tanks are extremely varied. The cleaning system used always depends on the type of dirt being removed. The thorough cleaning of boilers, autoclaves, IBC containers, all kinds of tanks or even silos and spray towers is no problem. URACA offers individual for maintaining reactor cleanliness, both for the chemicals industry and for plastic production or for water and wastewater treatment. Whether barrel, mixing container, reactor or storage container, angled or round – no problem for the high pressure systems from URACA! The interior cleaning of containers using a hand held tool is often only possible with difficulty and with increased works safety measures. In order to regularly remove deposits of various kinds from system parts, the tailored cleaning systems from URACA perform a valuable service. The individually suited cleaning solutions, based on water jet system, minimize downtimes and ensure environmentally friendly and thorough cleaning. Based on a wealth of experience acquired over many years, URACA offers solutions for liquid, paste, powder, homogeneous and porour or solid accumulations. Depending on the type of contamination, the Engineering Team from URACA designs the appropriate system solution. Numerous internationally successful projects in various fields of high pressure cleaning speak for themselves. URACA produces a series of high quality, supplemental products, for example chain driven lance systems or tank cleaning heads. URACA is the competent contact partner for all matters relating to container and reactor cleaning. Whether process-controlled, fully-automatic or by hand, URACA provides a suitable, professional cleaning solutions with maximum process safety for every system and almost every form of industrial contamination. Would you like to know how to we can clean your system more economically? Then get in touch. We will find a solution for your cleaning requirements.